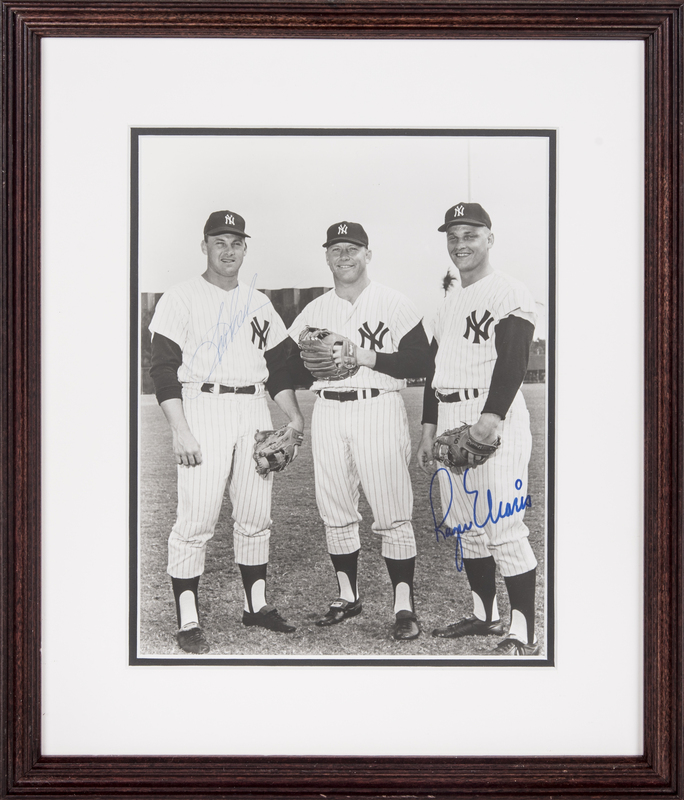 This 9.5 x 7.5-inch photograph has been signed by a pair of New York Yankees legends. 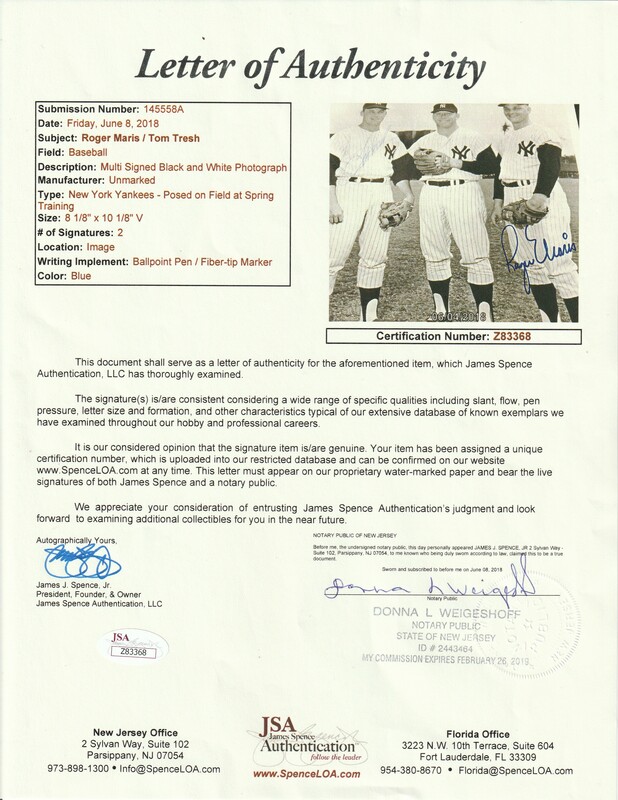 The first signature belongs to Roger Maris, the first man to hit more than 60 home runs in a major league season. Maris, a two-time MVP, saw his number “9” retired by the Yankees in 1984. The second signature on this photograph belongs to Tom Tresh, the 1962 American League Rookie of the Year. Tresh, the son of long-time Chicago White Sox catcher Mike Tresh, has signed this photograph in blue pen. Maris has signed the photograph in blue marker. This photograph shows Tresh and Maris standing with Mickey Mantle. 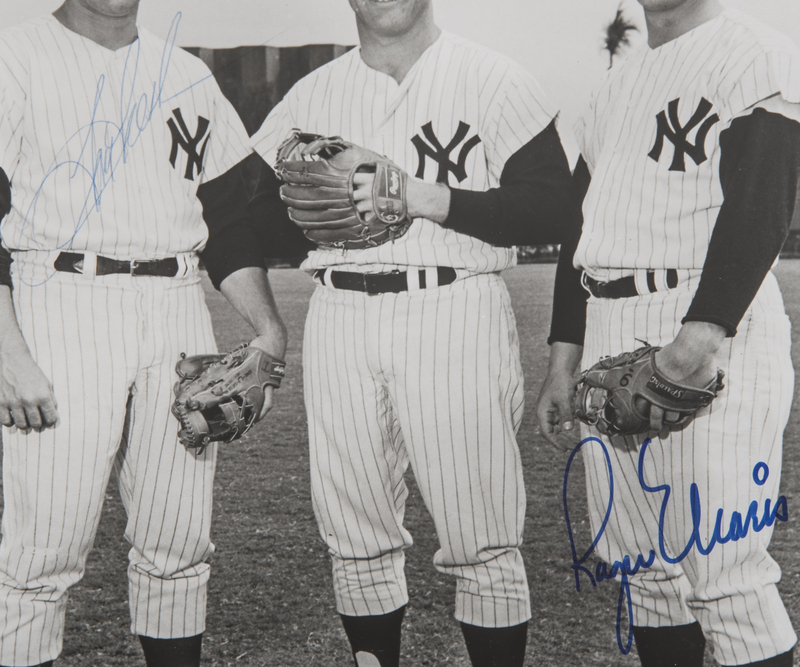 All three are wearing their Yankees home whites and stirrups over white sanitary socks. This photograph comes in a 12 x 14-inch framed display and is accompanied by a LOA from JSA (Z83368).